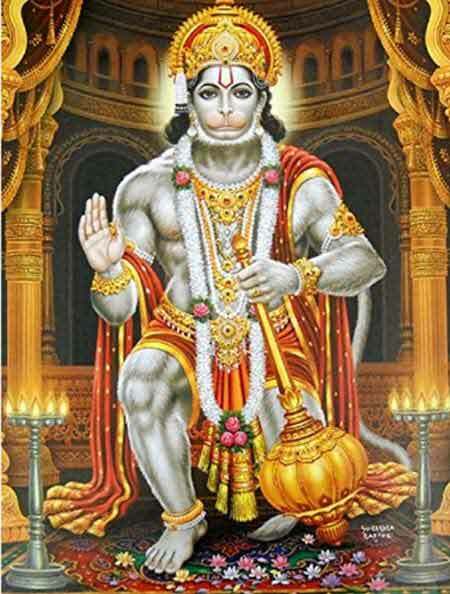 There is a popular belief that invoking Hanuman’s name will help in remembering all the lessons. Many students worship Hanuman daily and seek his blessings to not to forget what they have studied. It also helps in having good memory power. It was Surya, the Sun God, who gave Hanuman this boon. Legend has it that Surya was Hanuman’s Guru. Hanuman was so intelligent that he learned all the lessons within a fortnight. Surya was happy to have such a student. Surya also knew that Hanuman was a manifestation of Shiva. Surya did not want to lose the companionship of Hanuman so soon. So Surya repeatedly caused Hanuman to forget the lessons so that the teaching may continue for several months. Hanuman repeatedly learned the lessons with devotion. Surya was pleased with the efforts and dedication of Hanuman and finally allowed him to return to earth. Surya also gave the boon to Hanuman that whoever invokes his name and prays to him will never forget the lessons that they have studied. Like Hanuman students should also develop single minded focus. They should concentrate on the field they like the most and excel in it.